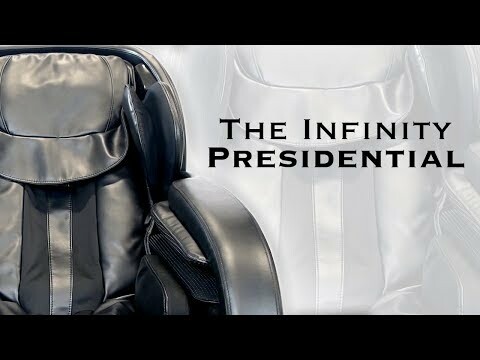 The Infinity Presidential provides an exquisite massage experience by utilizing cutting-edge technology. 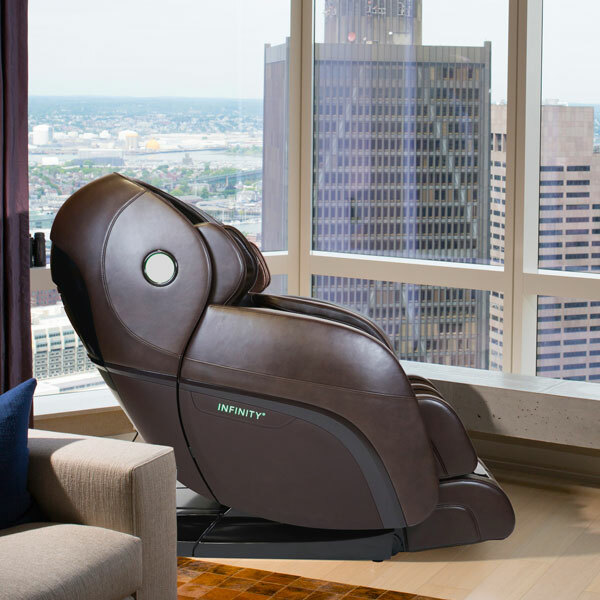 With 3D massage technology and a range of auto programs, this chair suits a wide variety of people. Additionally, the Presidential's unique L-shaped roller track is flexible enough to provide both massage from the neck down to the glutes region and an effective spinal decompression stretch. Bluetooth® compatibility allows users to relax to their own tunes and even control their massage through our mobile apps, available for both Apple® and Android™ devices. Soothe aching muscles with heated rollers in the back and heat modules in the foot units—the Presidential leaves nothing to desire. 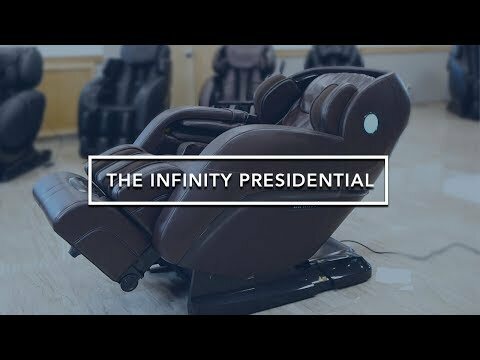 Experience a new level of well-being with the Presidential today.